The woman asked to declassify the burial place of her son, and then complained to the UN Human Rights Committee about inhuman and degrading treatment. The Belarusian side argues that the anonymous burial of executed prisoners is fixed in Belarus at the legislative level. “In cases of capital punishment, this procedure is carried out so as to inflict the minimum possible suffering not only to convict, but also other people,” says the Prosecutor General’s Office. Volha Hrunova’s complaint was registered by the Committee on 1 December 2015. The woman claims that the failure to disclose the exact time of execution and the burial place of her own son caused and continues to cause her anguish and mental stress. “I think that the secrecy surrounding executions and the burial place of my son, as well as the refusal to give his body for burial have the effect of intimidating or punishing our families because we are intentionally left in a state of uncertainty and mental distress. I regard it as a torture, cruel, inhuman and degrading punishment,” says Mrs. Hrunova. 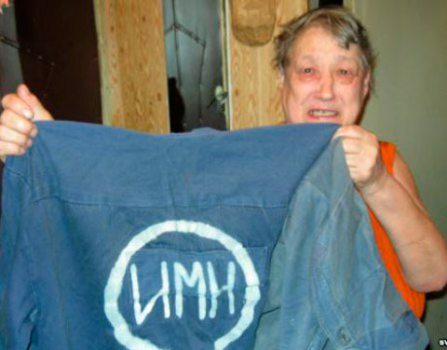 According to human rights activist Leanid Sudalenka, who has prepared the complaint, the Committee has repeatedly established facts of inhuman, degrading treatment against relatives of persons sentenced to death in Belarus. “One can recall the case of the mothers of executed Belarusian: Natallia Shchadko, Maryia Stasialovich and several others, in which international experts found that the complete secrecy surrounding the date of execution and place of burial and the refusal to give the body have the effect of intimidating or punishing families, intentionally leaving them in a state of uncertainty and mental distress that constituted inhuman treatment in violation of article 7 of the Covenant,” says the human rights activist. The woman also wants the Belarusian authorities to amend national legislation prohibiting to disclose the burial place of executed prisoners. On 4 April 2014, the UN HRC registered a complaint submitted on behalf of Aliaksandr Hrunou to complain about a violation of his right to life. However, it has not been commented upon by the Government of Belarus.